Don’t forget to drink plenty of water. Long waking hours, dancing and summer sun can increase your need. Free mains-supplied drinking water is available from the many Festival taps scattered around the site, WaterAid kiosks and bars. Please re-fill your re-usable water bottles regularly. Cans of water are also available to buy from stalls around the site. If you’re using your hands to drink, wash them first. For information about the Glastonbury Festival water, please read the water supply page in the Advice and Facilities area of the website. If you’re bringing your own alcohol to the Festival, remember that amounts considered beyond reasonable personal use will be confiscated at the gate. All glass bottles will also be confiscated – you must decant all contents into alternative bottles before you come to site. Beer tents on site are run by the Workers Beer Company and Avalon bars. The prices are equivalent to London pub prices. Please take care: drugs/alcohol cocktails can be lethal. Know your limits, and those of your friends. Drunk people can be very irksome! 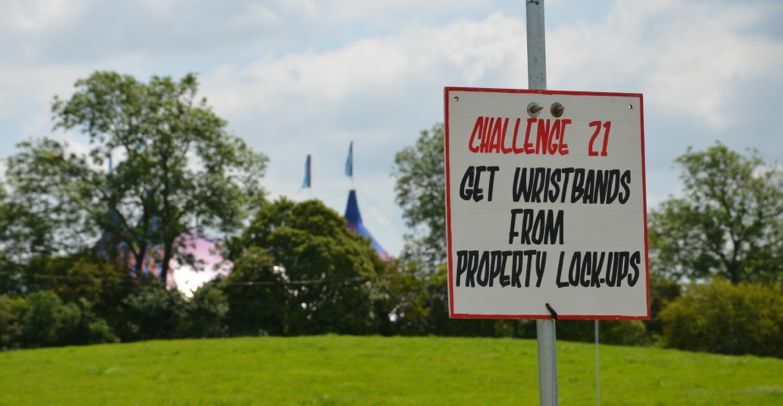 You’ll all have a much better Festival if you avoid over-doing it. If you are concerned that one of your friends requires assistance, ask a steward or security personnel to point you towards The Medical Centre or Welfare Tent. Click here to read what Festival Medical Services advise regarding alcohol. Don’t drive under the influence of drink or drugs when leaving the Festival. For more advice and information from road safety charity Brake, click here. If you don’t want to bring your passport or driving licence, use a PASS ID. See http://www.pass-scheme.org.uk/ for details.